This week was busy with planning and preparation for the January meeting of the Alpine Trails Book Club. We were spending a long weekend at my parents cabin up in the mountains, so every night was spent making large batches of soups and sauces to freeze in preparation for our weekend. After all the busy preparation, arriving at the peaceful cabin was a relief. Friday, we spent a quiet evening watching movies while snow fell outside. 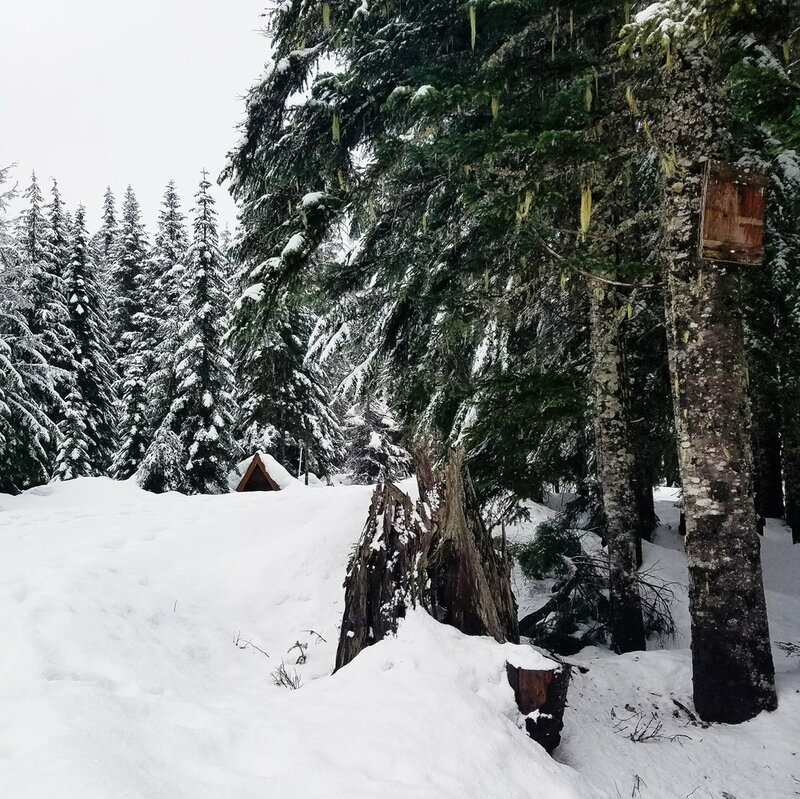 Saturday morning, we woke up to several inches of new snow, just enough to decorate the trees and hide our tracks from the hike in. By the afternoon, our group expanded with the addition of Ashley and her little one. After some snowy exploration around the cabin, we settled in for another quiet night of card games and puzzles. 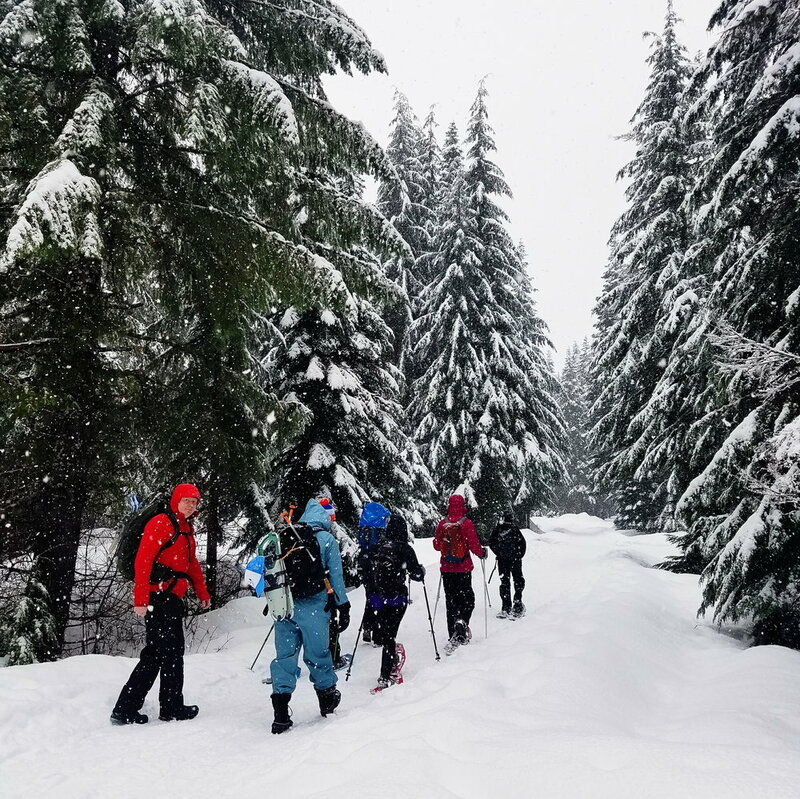 We ended the weekend with our perfectly hygge January Alpine Trails Book Club hike, which I'll be sharing soon! I love sneaking out for a long lunch with this cheeky little girl! Finishing up this gift for a friend! Late night puzzles - very hygge! 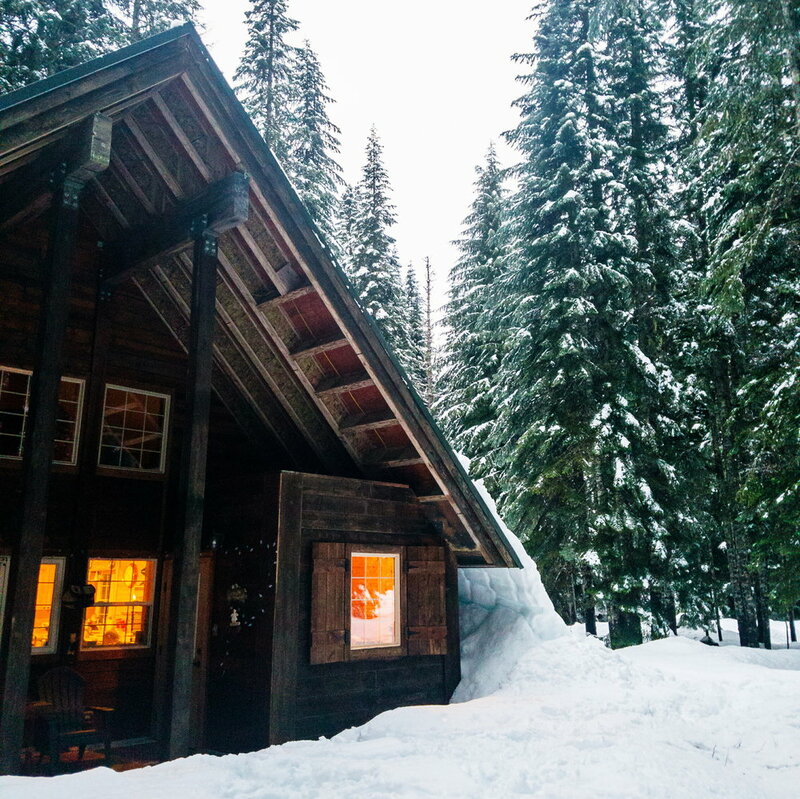 The cabin looks so cozy blanketed in snow!